I had a great service experience here. With me not knowing much about cars they explained everything perfectly to me and got my service taken care of. Hands down one of the best service experiences I've ever had. I sold my Rav4 to Pete's and I found the experience to be quite satisfactory. The staff and Pete were helpful, professional and very friendly. Will return to Pete's for service in the future. While living in his native country of Greece, Pete Sohoritis, developed a passion for working with automobiles at a very young age. After living in Greece for most of his life he decided to pursue the automotive technician career and moved to the United States in his early 20s. Charlotte would be the city that he would settle on and he began to work for Cotswold Exxon in 1984 for five years and then for Charlottetown Exxon for five more years. 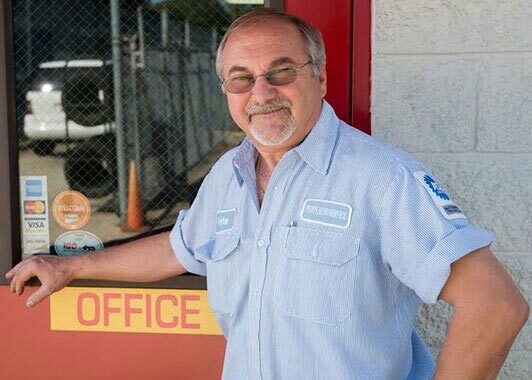 In 1994, Pete decided to expand his horizons and open his own automotive repair shop and has since developed a strong fellowship of customers over the years. His previous employers throughout the years have very high regards for the work ethic that Pete has and believe that he operates one of the finest automotive repair shops in Charlotte. Pete’s mission is to maintain the highest standards of automotive profession and integrity by supplying service to every customer that will exceed their expectations and provide customer satisfaction. Our facility utilizes some of the newest and most accurate machines to diagnose any problem that your vehicle may be experiencing. From the latest and best in automotive technology to the services required to keep your vehicle running great, Pete’s Auto Service can get you back on the road quickly and at an affordable price. Our team of experienced and certified technicians uses only the latest diagnostic tools and equipment when they are providing personalized expert service covered by our exclusive 3 Year/36,000 Mile Nationwide Warranty.